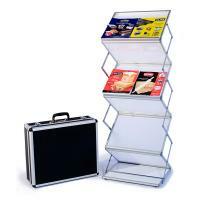 We have single and double sided Portable Literature Racks for trade shows, retail displays, offices, vestibules and more. 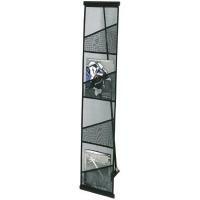 Available in silver or black, many come with their own travel case for transport and storage. 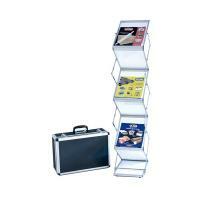 Literature racks are a light weight and portable option for organizing pamphlets and other papers in your booth or interactive exhibit for visitors to use. 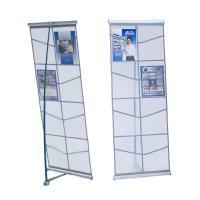 We offer competitive pricing on large literature rack orders. 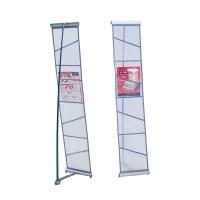 Please call, email or contact us for a free estimate.